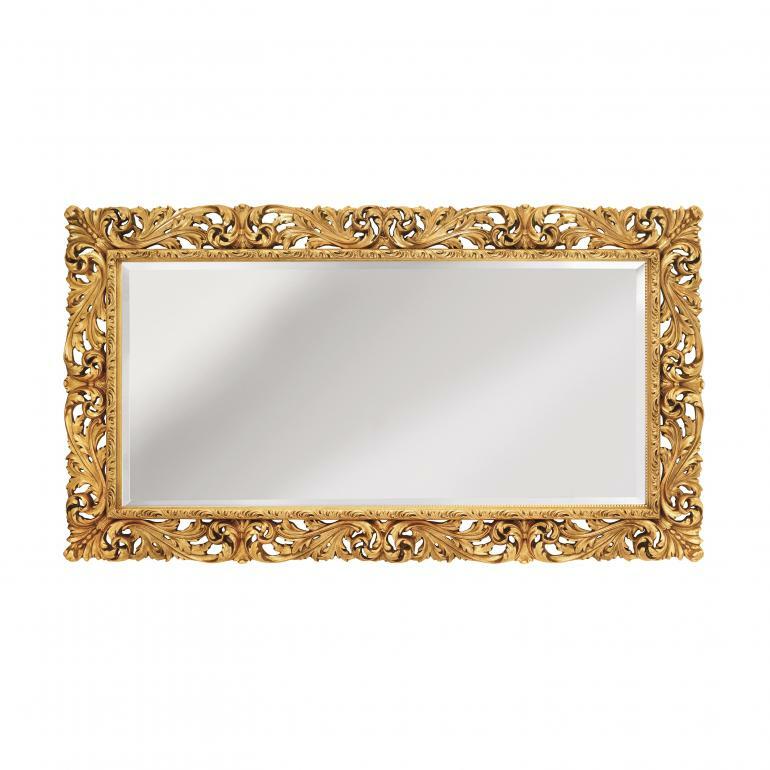 Elegant Baroque style rectangular wall mirror. The wooden structure guarantees solidity and duration in time; the pattern that embellishes the whole frame is carved in wood pulp. A gold or silver leaf lacquer finish is recommended for this product.